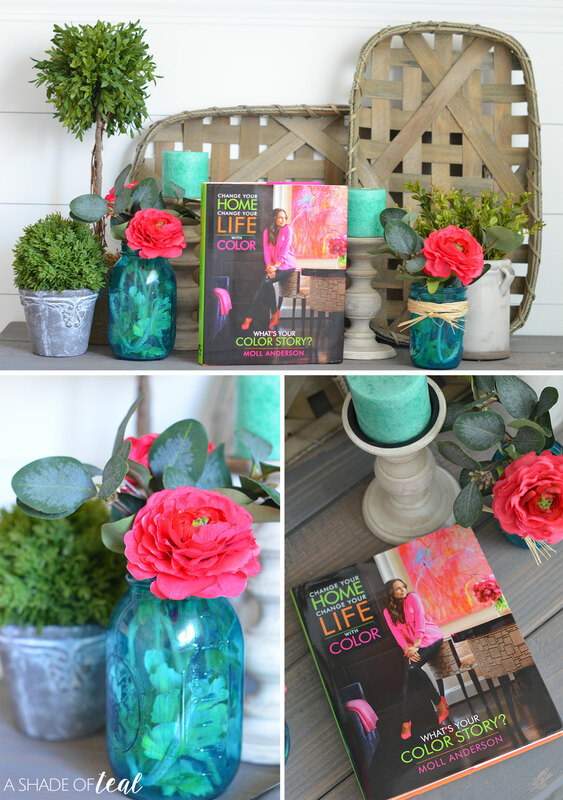 I recently introduced you to Change Your Home, Change Your Life™ with Color by Moll Anderson. 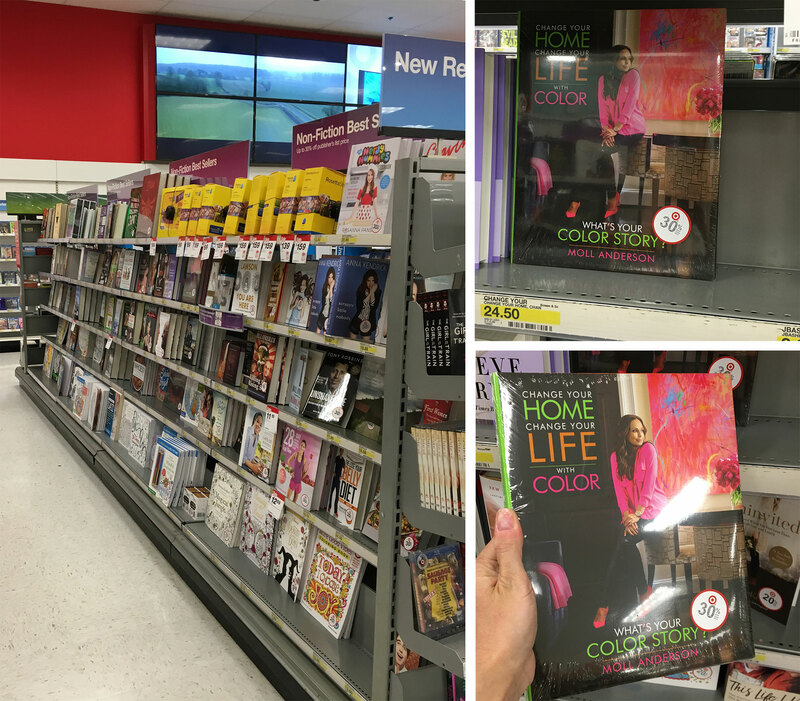 It’s an amazing new book focusing on finding the perfect color for you. In the book she discusses color and how it effects us on a daily basis; whether through clothing, paint, or even your home decor. As I mentioned before, some might find it difficult to incorporate color into your home. 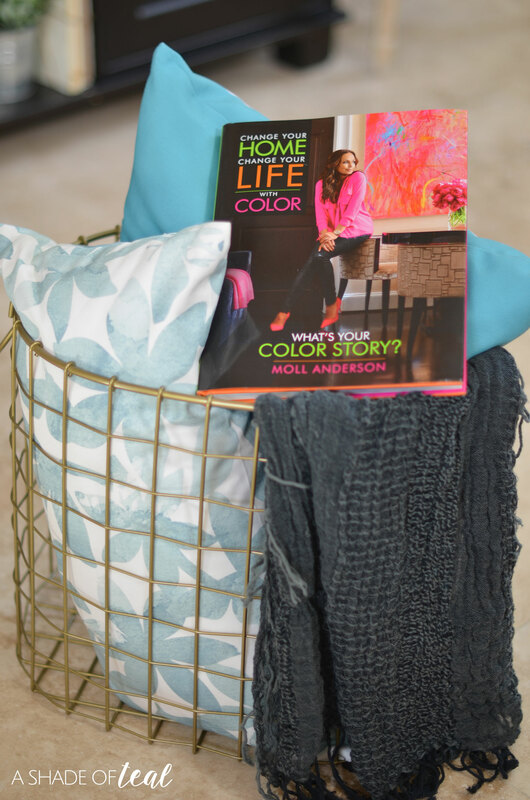 Well, with the help of her new book, Change Your Home, Change Your Life™ with Color by Moll Anderson; I’m going to share how I incorporated color into my home. After reading her book, it was no surprise my color was Turquoise! I already have the color incorporated in my home, but I wanted to makeover a small space to up the color! I recently finished my living room (seen here) and even though I love how it came out some parts were definitely lacking color. 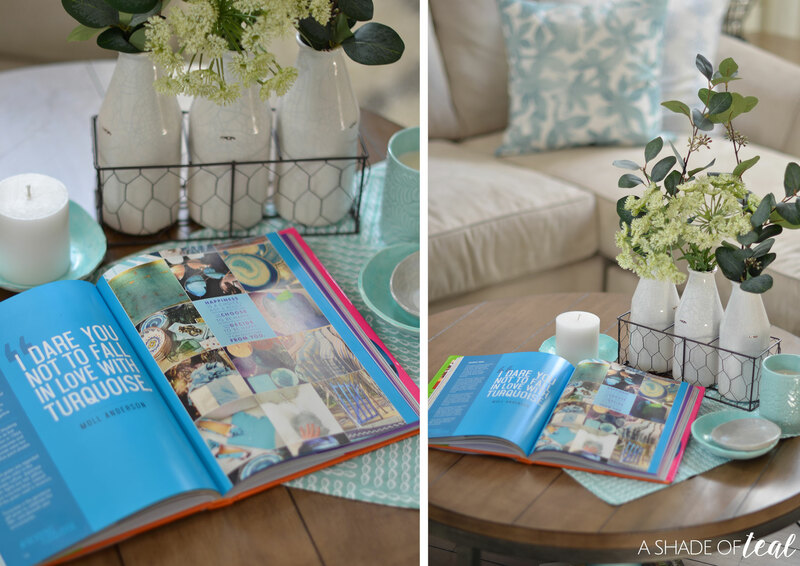 Since reading Change Your Home, Change Your Life™ with Color by Moll Anderson I’ve noticed I spend more time in rooms that have a stronger presence of my favorite color, Teal/Turquoise. So I’m curious to see if this room will be more used. Here’s the before. The space was very neutral with natural tones and plants. I couldn’t agree more with this statement! It was incredibly fascinating to read her book and learn why I might like the color so much. If I could be anywhere I would be on a tropical vacation relaxing in turquoise blue waters. No wonder I find turquoise calming and relaxing! 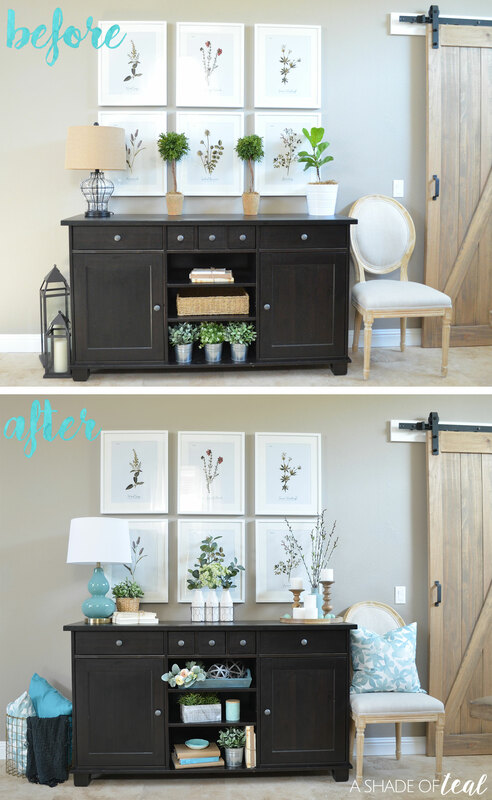 By adding turquoise to the space it also made me want to make the space feel more fresh like Spring or Summer. I guess I also associate teal/turquoise with the seasons. As you can see I swapped out the lamp for a turquoise one, added some bright pillows, and accessorized with more turquoise decor. I followed the book’s advise and focused on “Pop’s of Color”. 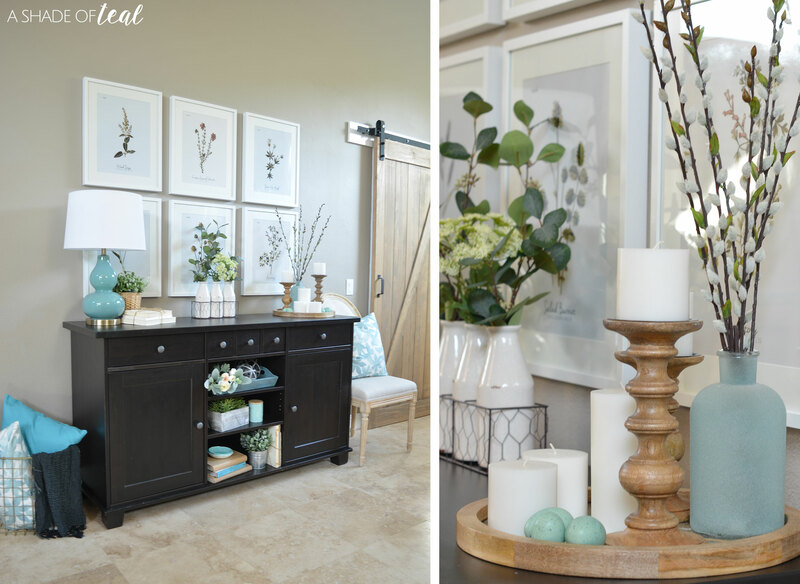 By adding vases and bottles in my hue it gave the space just the right amount of color. The space already feels more inviting to me, and I love the idea of now sitting here to relax. While reading Change Your Home, Change Your Life™ with Color by Moll Anderson, I wanted to go against what is typically safe for me (turquoise). So I decided to create a small vignette and put the book to test! My color of choice was Hot Pink! Even though I introduced the color in just flowers, I’m obsessed with it! It makes me feel so happy, uplifted, and feminine! Pink has been a color I typically stay away from, even in both my daughters rooms. But now experiencing how happy this small vignette has made me feel, I’m rethinking pink all together now. 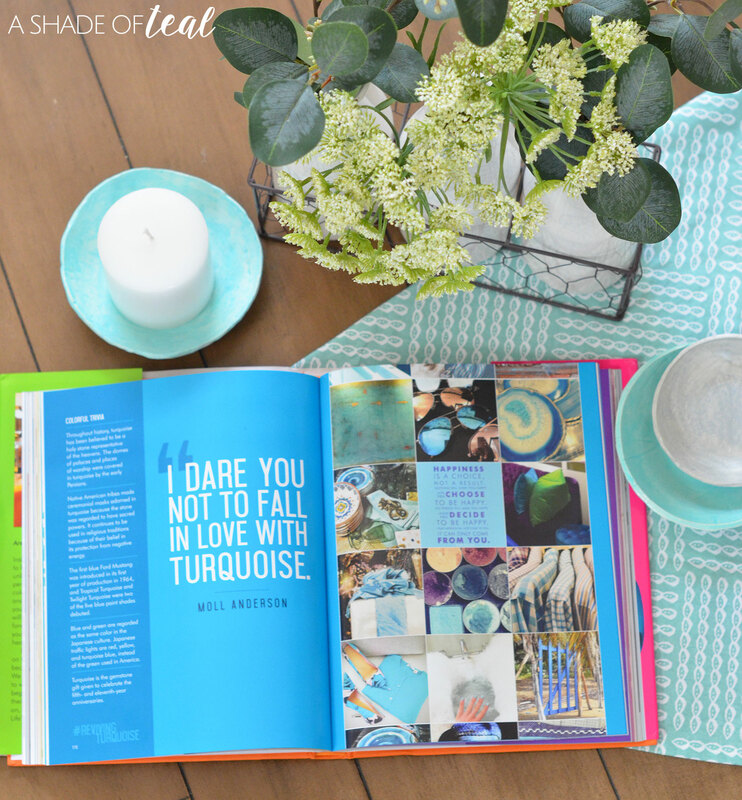 In case you missed it, of course I found a way to incorporate Turquoise! Moll Anderson is an accomplished author, tv and radio host, inspirational interior designer, life stylist, and advocate for women and children globally. Her lifestyle and interior design know-how have been embraced by readers of her 4 home and lifestyle books. With regular appearances, you might have seen her on The Doctors television show or as a co-host on FABLife. She’s also been featured on several other TV shows including Access Hollywood Live, Good Day LA, The Talk, Good Morning America, The Today Show, and Dr. Phil. Along with TV, she has also been featured in national publications; some include: InStyle and Cosmopolitan, USA Today and Huffington Post’s Women in Business. Not only is Moll Anderson’s work as a interior designer inspiring, it can change beyond the home, with advice and inspiration for your home and life! The best part is that her book Change Your Home, Change Your Life™ with Color by Moll Anderson is now available! Go pick up your copy today at Target stores in their book department. It can also be found anywhere else books are sold online (MollAnderson.com, Amazon, B&N and Books-A-Million). So, always remember color matters! When we understand it, we then can impact not just our surroundings for the better but also our mood, behavior and emotions. 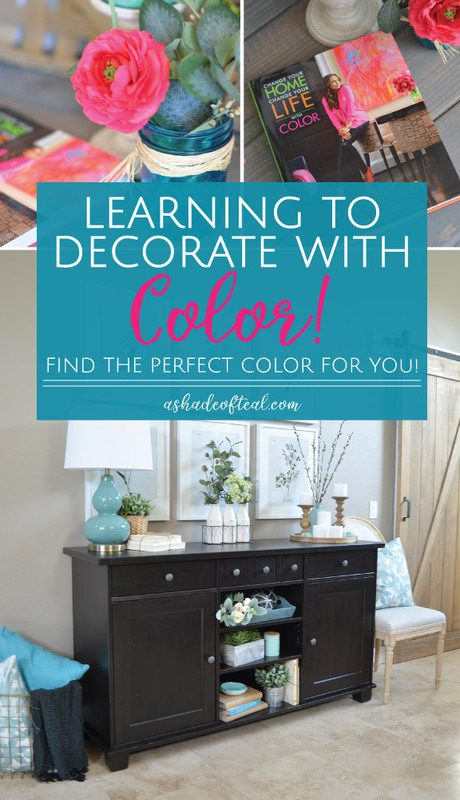 If you find joy in organization and tidying up then you need to look at color as Moll does. She introduces a whole new way of thinking about the link between color and mood. Do you know your color story? You might be surprised after reading her book. « Liven your Space with Color! Mixing Neutrals with Turquoise. I was literally just talking to my husband about painting our living room earlier today. It needs a re-do! Thanks Robin, this book is perfect for you then. My bedroom needs painting. Such great ideas! Thanks Tara, this book will help get you inspired. Your home is gorgeous! Love the classiness of that beautiful teal color. Thoroughly enjoyed reading Moll Anderson’s new book! It is really very important that the room color and decorations compliment each other. There is a certain color for every room like pastel blue for bedroom, cream for bathroom, orange for living room and more. There is a lot of tips I got from here and a combination of all the ideas will be much better for me. Turquoise is one of my favorite colors as well. It reminds me of tropical places with white beaches, plan trees, and crystal clear waters. I love decorating with it. It reminds me of all these things as well, that’s exactly why I love it so much! I’ve heard about this book but I’ve never paid attention to it. 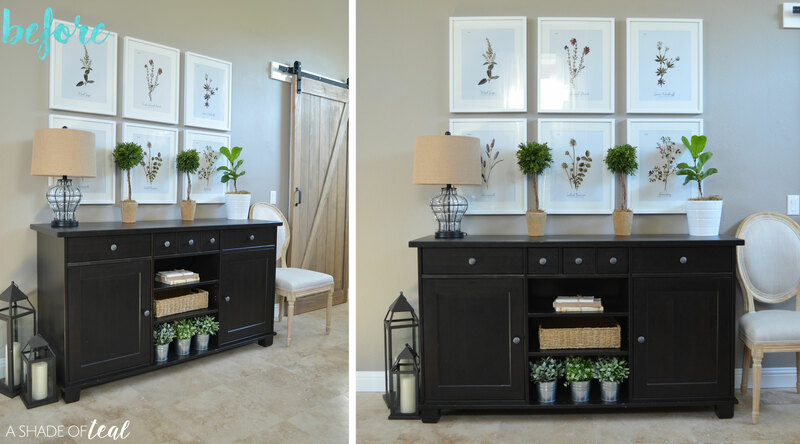 I think it’s awesome to be able to draw inspiration from it when redecorating a room in the house! I love the teal and how your design turned out! Color is a way of LIfe!!!! I love having hints of color in my space! I am not very good at decorating, but I do love pops of color! I should check this out and see if it helps me. Those colors look gorgeous! I am wanting to redo my living room with white and teal. That sounds lovely, good luck! I love blues for my rooms. I love different shades but it is such a calming color fo rme and one that helps me relax. I agree, blues are soo relaxing. the color combination is soooo nice! relaxing and the room looks so clean and fragrant. I definitely need to check out this book, sounds incredible! 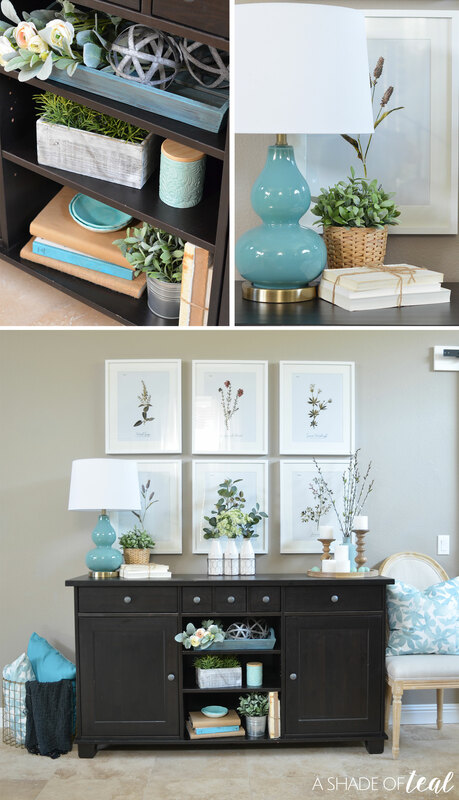 Love how the added turquoise pieces to your space came out. Thanks Jennifer, the book is great! I’m always a bit scared to use colour having had it drummed into me that neutral is best. I love the turquoise accents that you use and would never have thought it would work to mix it with such a bright pink! Thanks Emma! I completely understand about neutrals, I tend to think of only neutrals at first but have to remind myself to also use color. Love these ideas! After years of neutral colors, we finally redid our main living space with color, and just LOVE it. That’s so great to hear! It’s amazing how much color can change things!